Bray-sur-Somme is a village about 8 kilometres south-east of Albert. 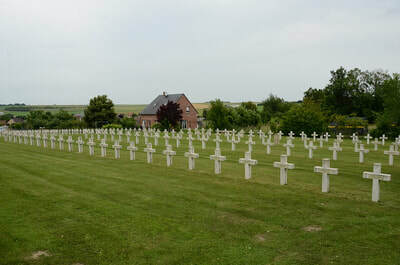 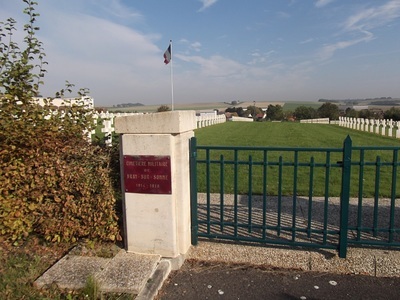 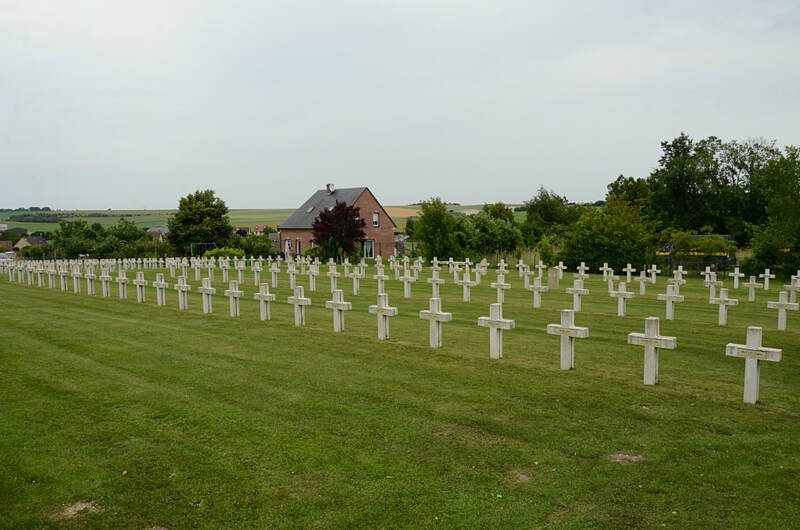 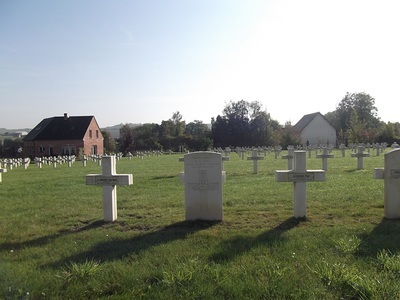 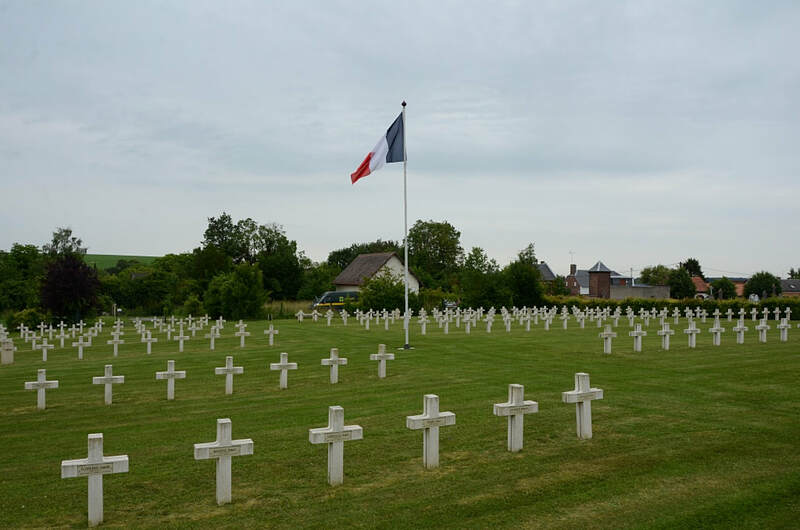 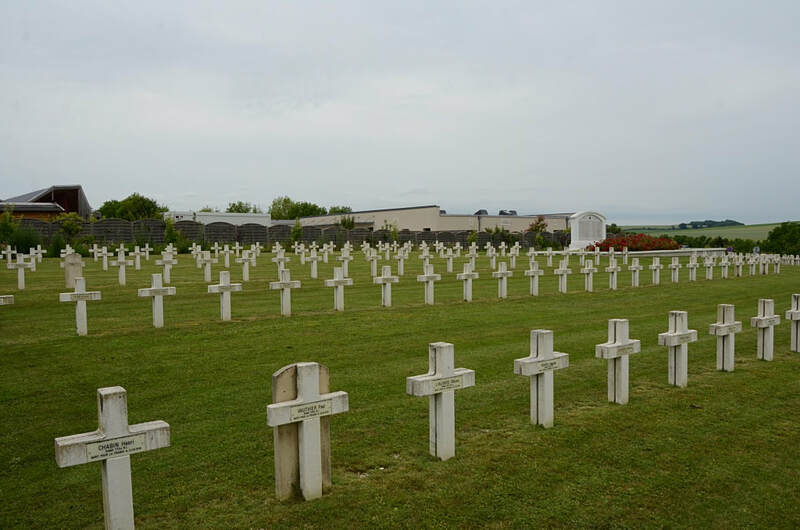 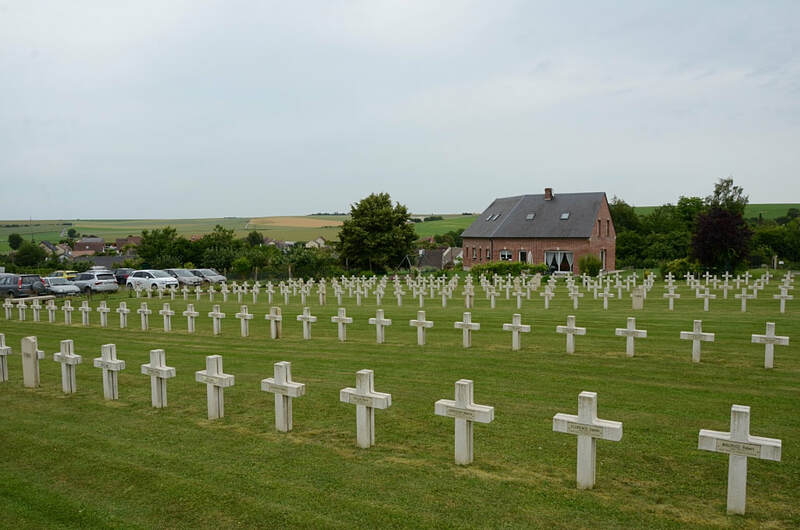 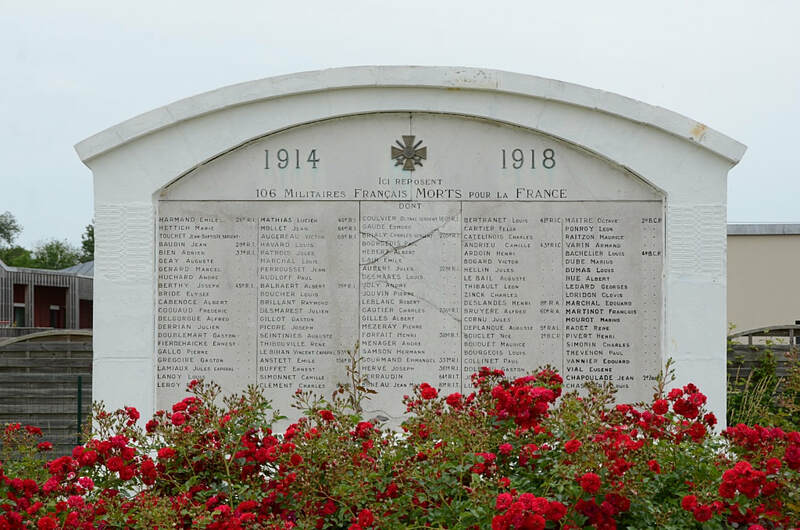 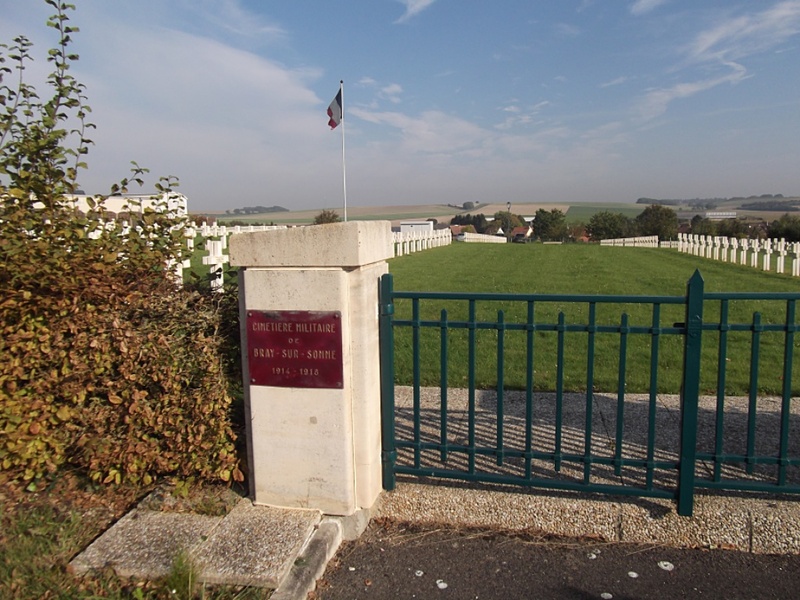 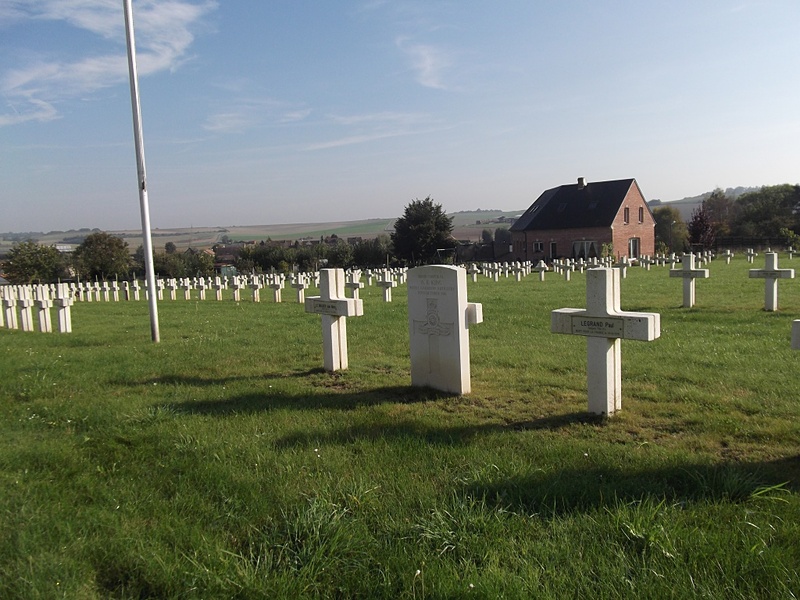 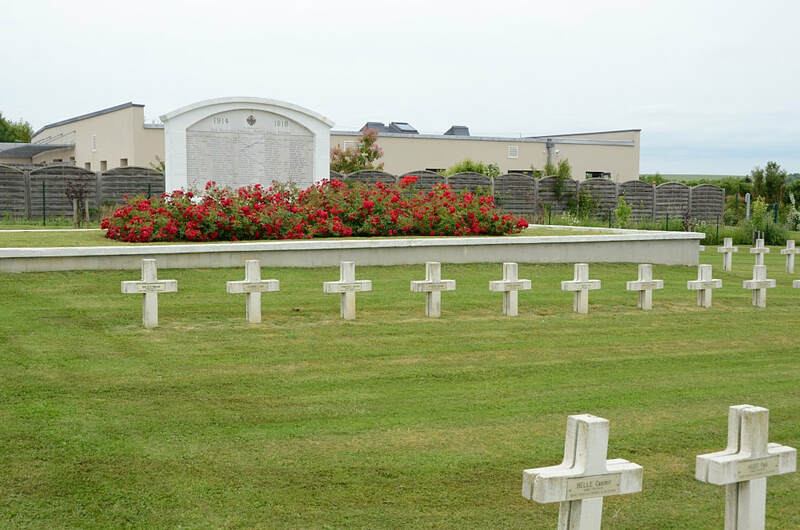 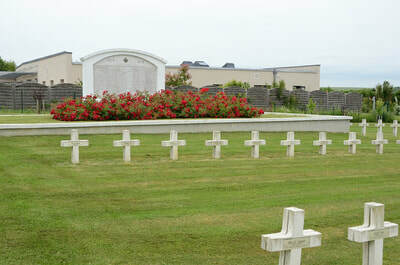 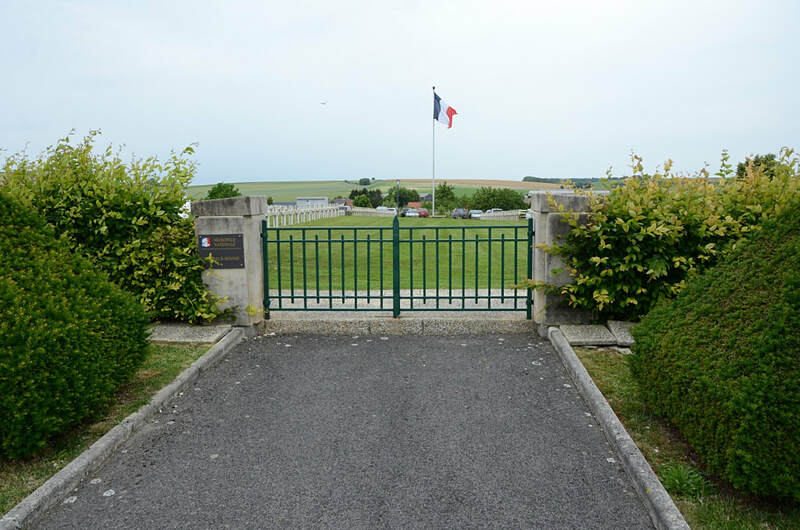 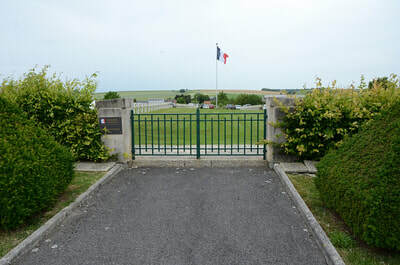 The French National Cemetery is located behind the Communal Cemetery, which is north of the village centre on the road to Albert (D329). 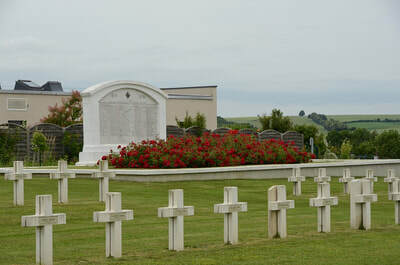 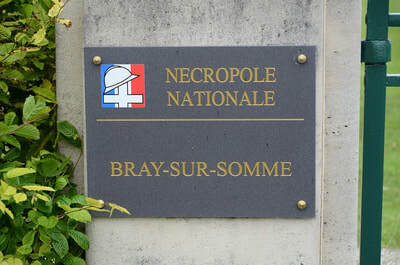 Bray-sur-Somme French National Cemetery contains one Commonwealth burial of the First World War. 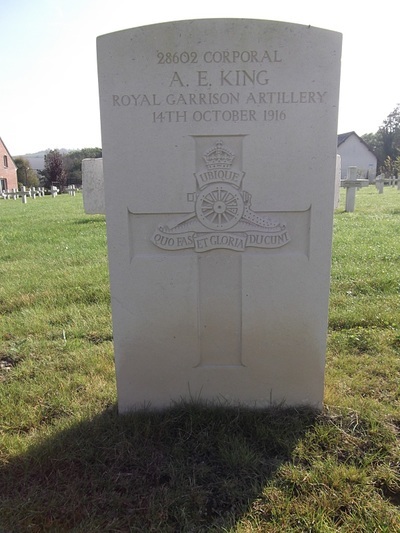 28602 Corporal Albert Edward King, 155th Heavy Bty. 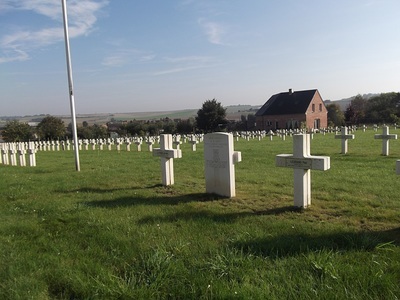 Royal Garrison Artillery, died 14th October 1916.